Tashi Dhargyal is a Tibetan thangka master based in Sonoma, CA. Previously, he was the artist-in-residence at Jhangtse Khang, a branch of Ganden Monastery in Dharamsala, India. Since his arrival in the US in 2010, he has taught and exhibited at many museums and galleries. 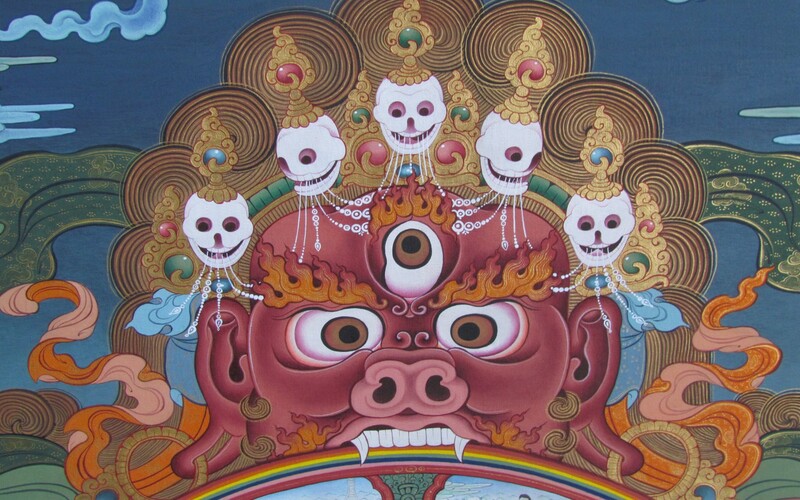 Though Tashi’s primary focus through 2018 is the massive two story ceremonial thangka he is creating at his Tibetan Gallery & Studio, he is available for private commissions.